trial fit of 14x7.5" +2 offset rears with 195/60 tyre. Those rims are really nice! Do you know what brand? they're Folk Racing wheels. seriously light! they all have some gutter damage and the fronts probably aren't useable, so I'll have to find something else up front. thanks FAZPIOES. I'd love a 2dr version! But mine isn't metallic, its called olive yellow. looks green to me! 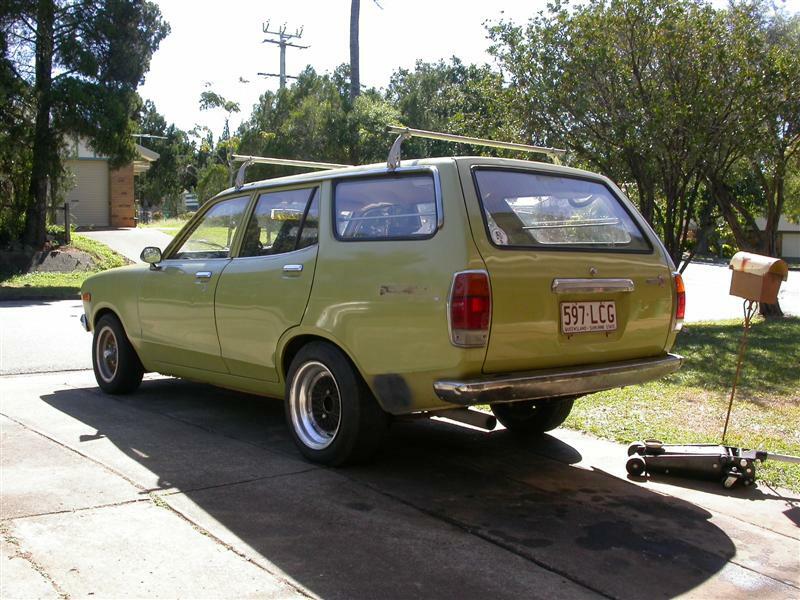 The Ol' Why wagon is starting to look trick there Harry Especially the wheels they really sit nicely ,Small JDM wheels FTW! Im with unfamiliar Bosozuka style this wagon all it needs now lowering three inches, chrome tail pipe guard mirrors and a sunny bunny sticker on the back window.